Hip Hop music made for a cause, not applause. Introducing the Bay Areas own Hip Hop Artist “Chris Perkins.” Chris, formerly know as Vitamin C, a Motown/Mojazz Recording Artist, emerged on the secular music scene over 15 years ago working with Hip Hop Jazz recording artist J-Spencer, Times 3, Dina D, Ben B Hard and many other rap artist and musicians. Born and raised in Oakland Ca, Chris established himself in the music industry as a rapper turned producer/writer who lived life “on stage”. Today he is one of only few Hip Hop artist dedicated to changing lives and changing the mindset of our newer generation. Believing that there is power in the tongue, Chris turned his negative rap style into a positive lifestyle in an effort to give back some of what he may have taken during his negative reign in the industry. Offstage Takes you on a positive Hip Hop journey beyond the spotlights. Positive, yet still “Street”. He believes that music was meant to heal, not kill. “Offstage is a breath of fresh air to the music industry”. This CD combines an unusual blend of street flow with head banging grooves in such a way where all ages can enjoy. 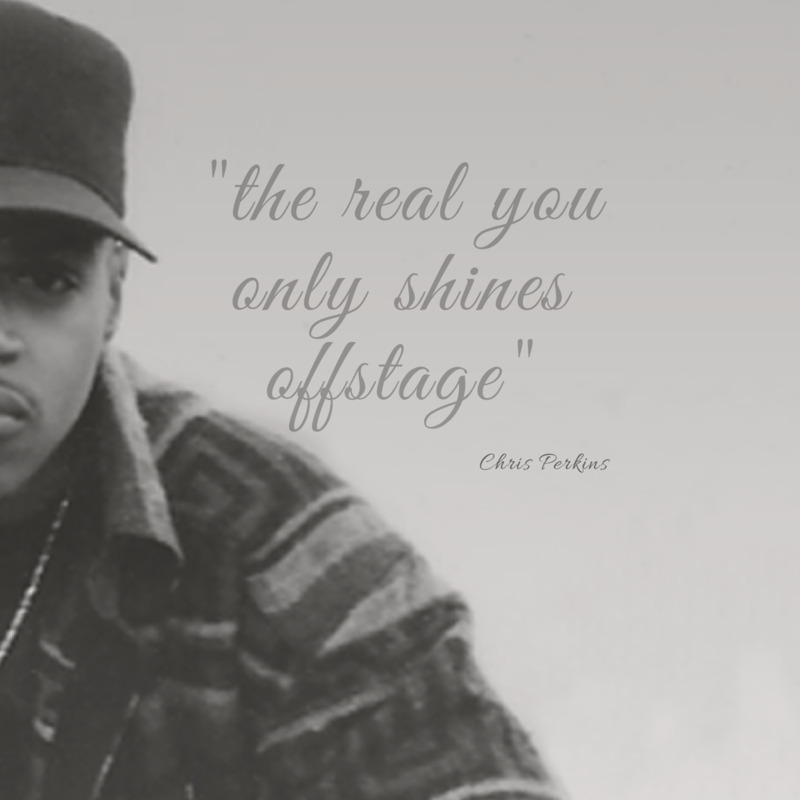 “The Real You Shines Offstage"Smooth Hip Hop/R&B style music under powerful positive lyrics with a delivery that demands attention are the make up of Chris Perkins’ senior project “OFFSTAGE". A positive rapper with a positive lyrical message reaching the neighborhoods and taking no short cuts to do it. The anticipated return to produce a fourth album for Chris Perkins has now arrived. Chris brought you his debut “Comin’ Home” in 1998 and then teamed up with Chubby and friends for three more projects titled “Transition” in 2001, “Delivery” in 2003 and “Broken” in 2005 which had Grammy consideration. These projects gave him opportunities to travel and work with some noteworthy artist in the music industry. His music could be heard all over the country as well as in Canada, Europe, Asia and Australia. “I believe our 8,000,000 plus listeners might find it to be a blessing...” CEO Bradley Broadcasting.